Pre-kg tiny tots of PVBM celebrated Vehicle junction day on 27.02.19 as per the theme of month “Modes of Transport”. Ambience replicating the road with pedestrian crossing and traffic signal was setup in the class room. Kids brought toy vehicle and they were asked to move their toys according to the light. On 28.02.19 Little track train day was celebrated with great josh by fixing the tracks and creating tunnels using cardboards. 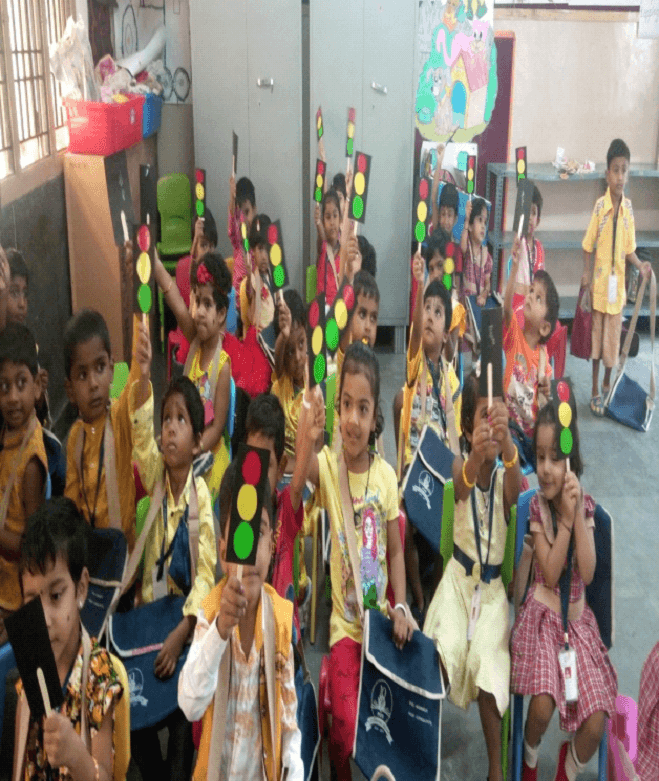 Followed by it, on 01.03.19 Traffic signs day was celebrated by creating their own tiny traffic signals. 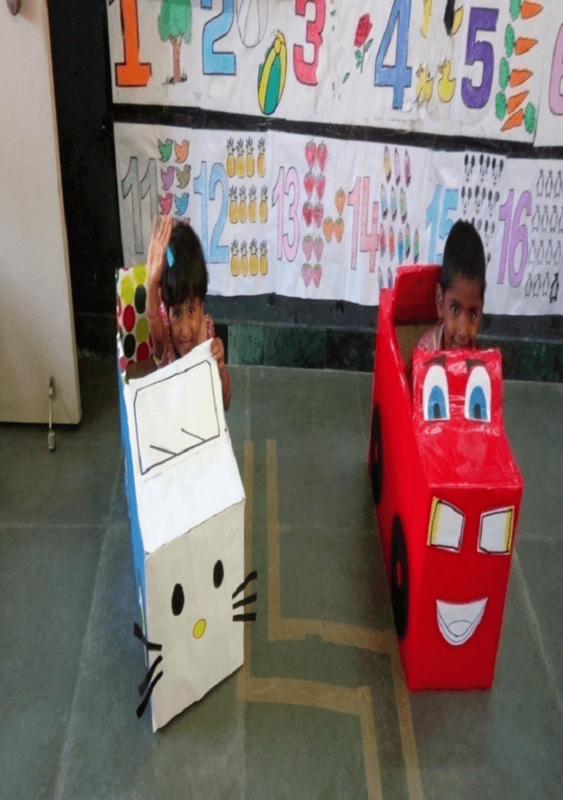 It was fun learning for our twinkling stars to learn the road safety rules and importance of traffic signals. On 04.03.19 bubbled with great zeal celebrated Hot Air Balloon Day. Kids enjoyed blowing balloons. They brought paper cups, straws and made their hot air balloons. Followed by airways, on 05.03.19 Row Your Boat Day was celebrated. 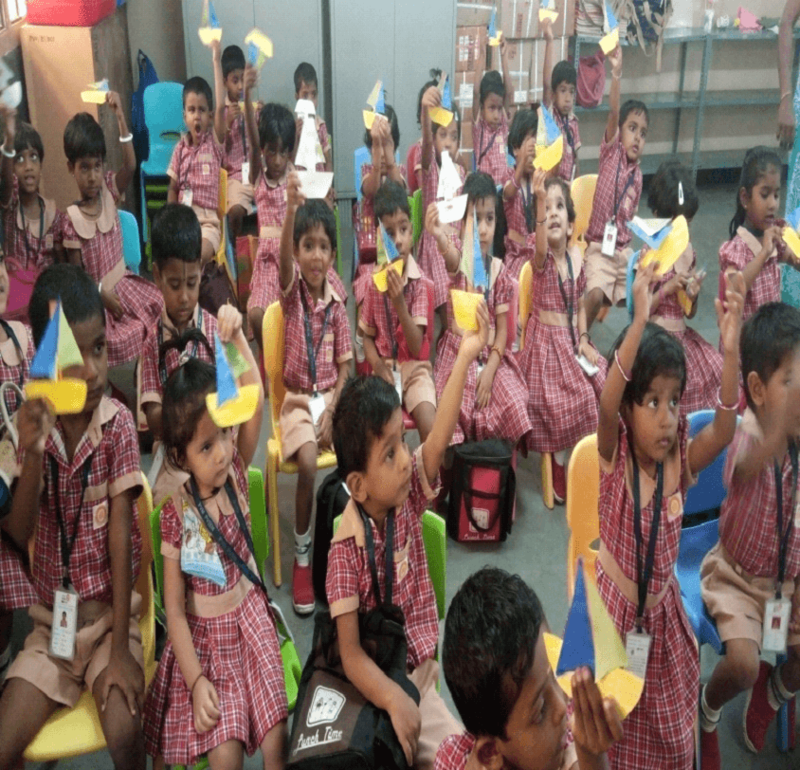 kids learnt to make a paper boat and yacht. It was really fun learning the modes of transport.